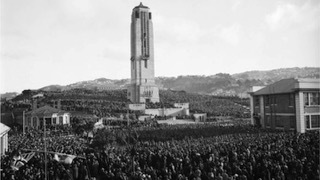 The National War Memorial in Wellington commemorates nearly 30,000 New Zealanders who died in conflict and honours all who have served. The 51-metre high National War Memorial Carillon tower houses a 74-bell instrument weighing over 70 tonnes – the third largest such instrument in the world. The Art Deco tower was designed by the Auckland architectural firm of Gummer & Ford and built by P. Graham and Sons of Christchurch, 1931-32. 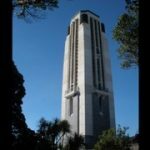 Planning and acquisition of a war memorial carillon was entrusted to the Wellington Carillon Society, a group established in 1924. 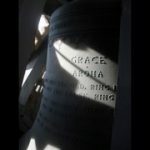 The original 49 bells by Gillett & Johnston of Croydon, England, installed in 1932, were paid for by private donors and bear inscriptions in memory of First World War casualties, military units or specific battles. 20 bells have been replaced with a further 25 notes subsequently added. 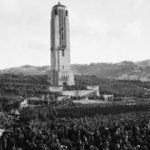 Dedication of the Carillon was held on Anzac Day, 25 April 1932. Carillonneurs Clifford Ball (Bournville, England) and Gladys Watkins (Wellington, NZ) were the joint recitalists for the inauguration. 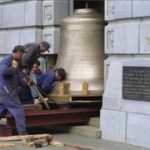 In 1995, to mark the 50th anniversary of the end of the Second World War, the government and New Zealand Lottery Grants Board donated four large bells: Grace (Aroha), Hope (Tumanako), Remembrance (Whakamaharatange) and Peace (Rangimarie). 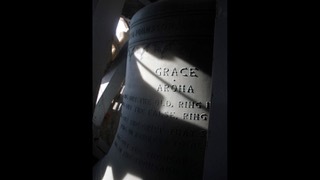 At 12.5 tonnes, Peace is the largest tuned bell in the southern hemisphere. 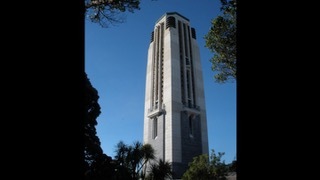 The carillon is played for regular concerts and commemorative events, continuing its role as musical centrepiece of the newly-created Pukeahu National War Memorial Park in Wellington.